LAUTECH Post UTME form (supplementary) for 2018/2019 admission screening exercise is out on sale. 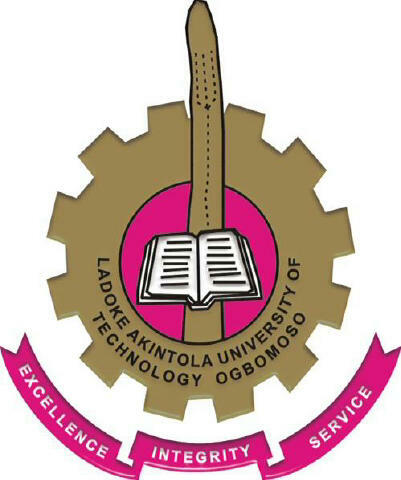 The Ladoke Akintola University of Technology (LAUTECH) cut-off mark for admission and screening dates have also been released by the management of the institution. Interested members of the public are hereby informed to get their forms before the expiration of the deadline. Below are the important pieces of information you need to get LAUTECH 2018/2019 supplementary Post-UTME form and apply for the screening. Who Can Apply For LAUTECH Supplementary Post-UTME Screening? Notice is hereby given to all candidates that made Ladoke Akintola University of Technology (LAUTECH), Ogbomoso as their first choice as well as those that have changed their most preferred institution to LAUTECH to a Post-UTME Computer Based Test (CBT) Screening Exercise. LAUTECH Supplementary Post-UTME Computer Based Test (CBT) Screening Exercise will be conducted on Thursday December 6, 2018 at 10:00am. Applicants of LAUTECH 2018/2019 Post-UTME are expected to carefully complete and submit the online application form as incomplete application form will not be treated. In completing the online application form, a candidate is expected to upload a digital copy of his/her scanned passport photograph which must be in JPEG (i.e. jpg) and must not be more than 20kb. a) The LAUTECH Post UTME application form will be available online for completion and submission from Thursday, November 22nd to Wednesday, December 5th, 2018. Applicants are to note that late completion/submission of application forms will not be entertained.